“Poor planning and too ambitious of a goal” is how James Ryan Ohliger, better known as Krispy Shorts, described the chaotic, disappointing Fyre Festival, a music festival that was supposed to go down in the Bahamas this past weekend. The vlogger was one of thousands of festival-goers who were scammed by Fyre Festival after it was cancelled unexpectedly for both weekends due to overcrowding, poor planning, and other issues. According to The New York Times, the festival was made out to be more than what it was in reality. Popular bands like Blink-182, Major Lazer, G.O.O.D. Music, and others were signed on to headline the event. Luxurious food service and villas/tents for visitors to stay in were also promised by the festival creators. Celebrities like Kendall Jenner, Bella Hadid and Emily Ratajkowski promoted the event on their Instagrams. From a social media standpoint, the festival looked like it was going to be a fun weekend with partying on yachts, unlimited drinking and awesome music with dancing on beach. Some participants reportedly spent up to $12,000 or more on weekend packages. In Krispy’s video, he said his company, JerryMedia, was part of the marketing team for the event, and until the disaster unfolded, they were unaware of the issues the festival organizers were facing. Krispy said the type of planning that goes into a festival like this takes years to organize, and the planners tried to do it in a matter of months. To distract those who were already on the island the day before the festival, Krispy said they located the group to Exuma Point, where festival-goers thought they were having a pre-party, which he said turned out to be fun. But at the site of the festival itself, luggage was being brought out in 18 wheeler containers and dumped out on the beach—it turned into a free for all. Krispy also said no one was being directed to where they would be staying, and a few members of Fyre quit as this was all going on. Finally, the Bahamian government stepped in and completely shut down the festival, saying it was becoming dangerous. Fyre Festival released a statement about the events that unfolded, saying it was “a very challenging day for all of us.” Fyre continued saying “The team was overwhelmed. The airport was jam packed. The buses couldn’t handle the load. And the wind from rough weather took down half of the tents on the morning our guests were scheduled to arrive. 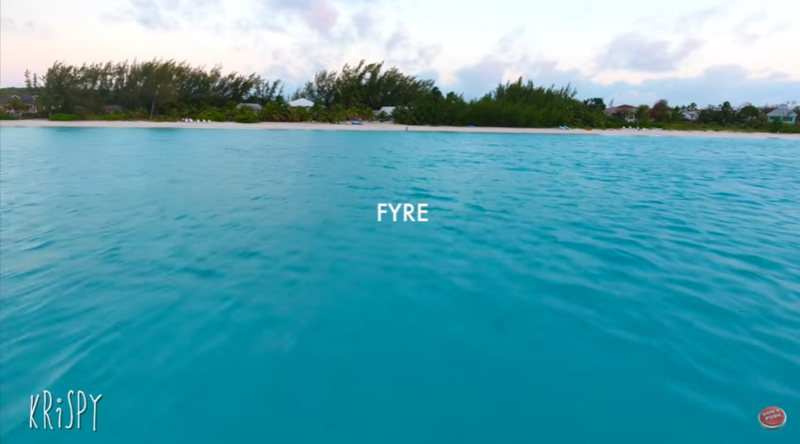 This is an unacceptable guest experience and the Fyre team takes full responsibility for the issues that occurred.” They mentioned the primary founders of this event, rapper Ja Rule and Billy McFarland, couldn’t have predicted and weren’t ready for the massive, positive response to their idea of having this festival on a remote island, and they were unprepared. According to Uproxx, Rule and other founders now face a $100 million lawsuit and have been completely banned from doing any business in the Bahamas. However, the team did mention in their statement that bands and venues have reached out to them during this tremendous failure to see if they can make this festival a reality in the future. The team has decided to work with expert, seasoned event planners for the 2018 Fyre Festival, which will be located on a beach venue in the United States.